The Publication Board, Assam, on Tuesday claimed that non-cooperation of the Assam Publishers and Booksellers Association has failed to affect the Guwahati Book Fair being held from December 22 at the Assam Engineering Institute playground here. “We did have a lot of negative publicity becaus e of the non-cooperation of the booksellers association but it has not impacted our sales,” Publication Board Secretary Promod Kalita told Northeast Now. The publishers’ body has refrained from participating in the Guwhati book fair as a mark of protest against Assam Government’s decision to distribute free textbooks to the students of Government schools and colleges up to postgraduate level. The All Assam Publishers and Book Sellers Association had declared that it will boycott the Guwahati Book Fair to protest against the state government’s decision to provide free textbooks to the students. The association had also announced a four-day closure of all bookstalls in Assam from December 20 to 23. “Our sales are estimated to reach an unprecedented 6-7 crore as the education department has given financial grant of Rs 2 lakh each to around 300 colleges to buy books at the fair. We have urged the principals to buy books beyond courses which will benefit the students,” added Kalita. 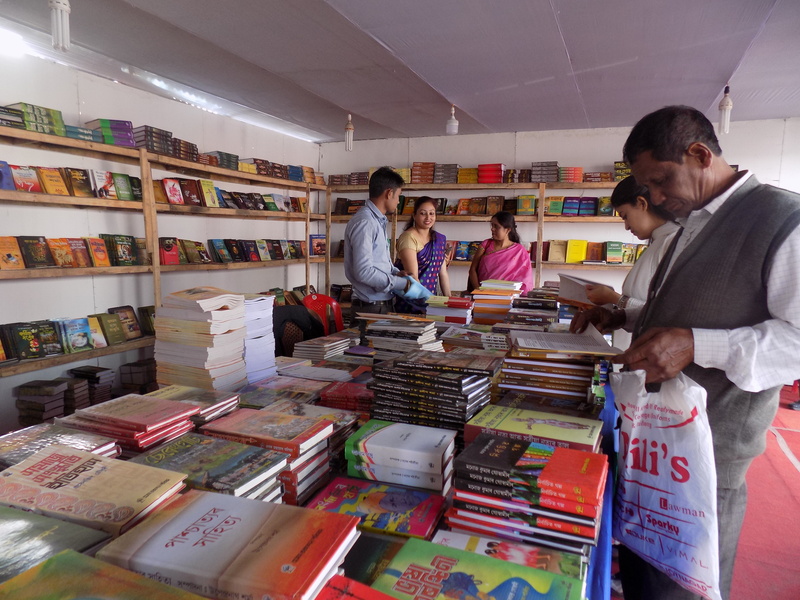 Around 75 book stalls have participated in the book fair; however, the footfall in the fair during the last four days is relatively low. “Usually, the first day of the book fair sees a low turnout but it rises gradually. But this time, it is even lower than the usual,” said a book seller. Few publishing houses from Delhi, Kolkata and Jharkhand have also taken part at the fair. English and Assamese books dominate the scene and have a fair amount of readership here, said Kalita. 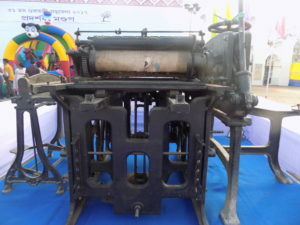 For the very first time, Asom Sahitya Sabha, the apex literary body of Assam, has displayed a printing press owned by Sahityarathi Lakshminath Bezboruah, where Bahi magazine was printed, at the book fair.